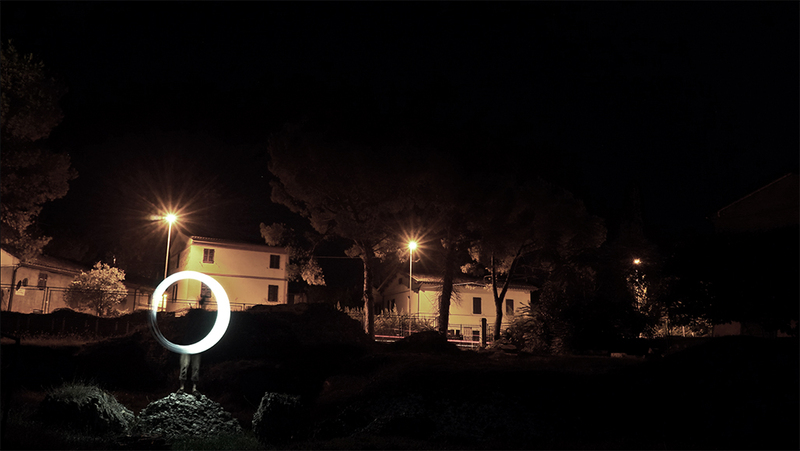 The piece is the result of a three nights performance at the archaeological site of Helvia Ricina on the occasion of On the spot / Rovine by Michele Gentili. The collective exhibition project involved the construction of a site-specific work in dialogue conceptually and spatially with the site: a Roman theater of the second century A.D. recently reopened to the public. 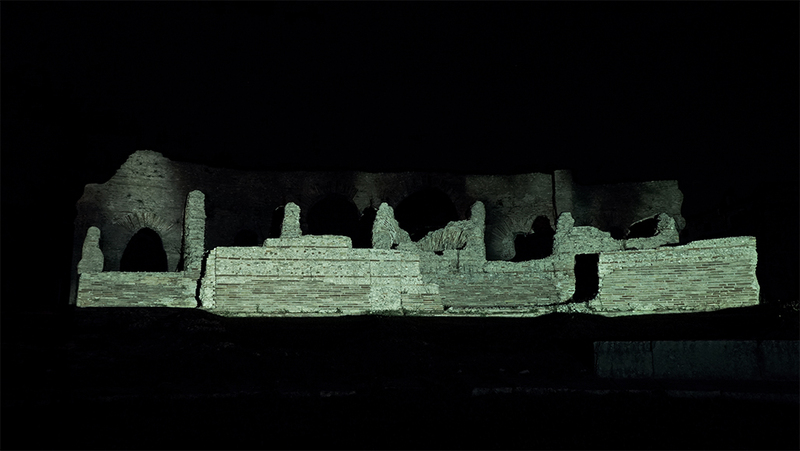 The piece that Antonio Pipolo has realized the Roman theater of Helvia Ricina is a reflection on our perception of architectural ruins. Spatial interpretation, guided and conditioned by past, generally make us read the structures of the buildings in ruins through models coded by documentation and historical studies, but whose failures would allow us unprecedented new architectural and spatial perceptions configurations. 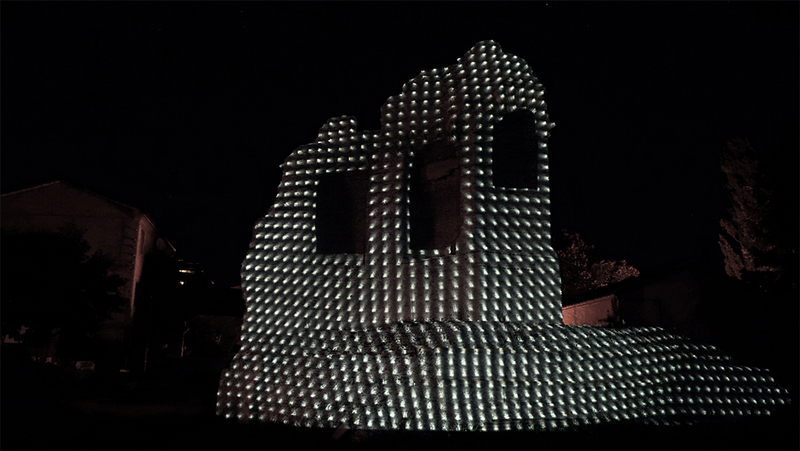 Staring at a point of view in rotation and through stop motion and projection mapping techniques, he configures with the light the centrality of an original theater scene: the show staged in the theater is no longer focused in one area of ​​the stage but all around on the move, breaking every predetermined approach to the theatrical space. Realizing the video while longer daily cycles, taking advantage of the changing light of the sun, the circularity in the artist becomes even temporal as well as spatial. The artwork’s title refers to the expression Sol Invictus “Invincible Sun” epithet that in Ancient Rome crowned emperors and designated periods of prosperity and splendor. The architecture of the ruins, however, defeated by history and on it are deposited layers of time that allow us a pure perception of time that makes it fascinating and evocative to our contemporary eyes. The ruins are presences that time sentenced to other forms of splendor.